CLX 548 is a Leyland Cub SKPZ2 and dates from 1936. New to London Transport with fleet number C111, she has Park Royal C18F bodywork in what used to be called an ‘observation coach’ style. Some people call this body layout as HDC18F while others call it RC18F. This view was taken at Southsea on 9 June 1985. I’ve never seen her since. Lovely photograph! If only more observation coaches survived, especially the elegant Whitson versions of 1948-52. The correct body code for observation coaches is "RC". "HD" refers to a Crellin-Duplex half-decker with a continuous roof line and interweaving compartments on two levels. Anybody who describes observation coaches as "HD" clearly hasn’t understood the PSV Circle body code system (and, sadly, this includes some compilers of published fleet histories who SHOULD know better, so I understand confusion on the subject!). 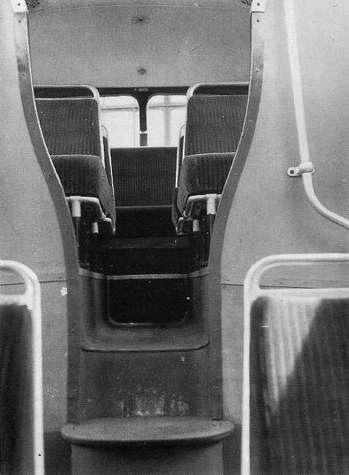 Airport coaches such as the 4RF4s of BEA and the similar Leylands at Manchester are also correctly prefixed with an "R" as this actually stands for"raised floor-line" rather than "raised roof". Both this, and sister CLX 550 are listed as survivors in the PSV Circle’s 2015 edition of Preserved Buses. But they both seem extremely camera shy. I’ve never seen either of them in real life. The non-LT livery was used on these vehicles, because they operated the night-time Interstation service around Central London, where their large luggage capacity was invaluable. There is some argument about the seating capacity, being also quoted as both 19 and 20! If memory serves, they were replaced by ST’s during the war, no doubt to increase passenger capacity. Not only have these buses (bar one) disappeared, but so also has our 24-hour rail network! The tube is to run 24hr from later this year and you will find many more night buses (although no night trams or trolleys) in London than when CLX 548 was built. 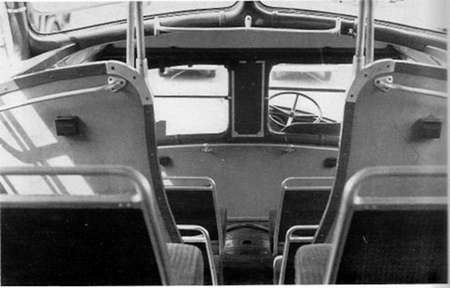 Here are internal photos of C107, showing 4×2 seats (8 passengers) in the lower saloon and 4×2 (8 passengers) and 1×4 (4 passengers) in the upper, total 20. It would seem that, although the rear seat would seat 5, it was designated for 4. Here is a photo of sister (just) survivor CLX549, How folk can let this sort of thing moulder into dust is beyond me. Windows open and all! One worry when the 24-hour tube services start (commencing I believe on a few lines to start with) is when will the track cleaning and maintenance get done? Some years ago there was a programme on tv about the night staff maintaining the Underground and it was amazing the amount of dust, fluff and other debris that accumulated each day on the track and tunnel walls. A team of ‘fluffies’ were employed each night to walk the tracks after the power had been switched off, simply to clear it all away. This it was said, was on safety grounds, not least to help reduce the risk of fires. I sincerely hope the powers that be are aware of this, especially in these days of cost-cutting in the public sector.. Yes, Brendan, I remember that programme. Don’t for a moment think that such realities might have entered the heads of the present management, though! I double-checked on the TfL website and it reinforced my thoughts that this 24 hour service is only on Friday/Saturday nights and, initially, not on all tube lines. Maybe with the backlog of maintenance behind them, one assumes that they can deal with doing it in the remaining time in the rest of the week. For the record, the very sad picture of the Cub mouldering away somewhere in Epsom isn’t C112 (CLX 549), but is C113 (CLX 550). At least, that’s what the PSV Circle says and I am inclined to believe them. But, thank goodness that C111 (CLX 548) has been rescued and returned to the road, so that she can be seen and appreciated by all. Well done, Mr Cross, the owner. First of all, well done whoever took the interior shots. Exterior shots are always the most important, but it is very helpful sometimes to be able to see inside, especially with such an unusual layout. I remember seeing a BTC film many years ago ago about night maintenance and cleaning in the deep tube tunnels. The Friday and Saturday night operation will mean a very heavy accumulation of dirt for Sunday night, and I wouldn’t mind betting that Sunday night is the peak period for absenteeism. All it would need is a spark and given the strong winds that blow through the tunnels because of the pressures created by moving trains in tight spaces, and one could soon have a fire out of control. CLX 548 and CLX 549 were both sold to London Fire Brigade, in the early 1950s. CLX 548 was used as a coach for the Brigade’s sports teams, and CLX 549 was used as a control unit. According to ‘The Fire Brigade Handbook’, CLX 549 was written off, in a collision, in 1959. I would be very interested to see CLX 548, if someone can tell me where, in Kent, it is stored. I would like to see photographs of CLX 548 when in service with London Fire Brigade. Colour pics would be best but any would be very welcome. Many thanks to Chris Hebbron but I need pics of CLX 548 which was the London Fire Brigade sports team coach. I believe it was painted dark green by the brigade but have no pics so do not know what shade or if the vehicle had any other colour with the dark green and carried any brigade markings etc. It also had a registration number change in April 1984 It had been previously registered under SV 4837. Registered as a Leyland National! Interesting comment, John W! It reminds me of an airshow once where a young lad (6 or 7 at the time) was proudly telling his father that the plane performing was a Lancaster Bomber (it had 4 propellers, you see, and was actually a Hercules) and father either didn’t know better or didn’t bother to correct him. Likewise, an aircraft with four jet engines was a Nimrod (USAF B52 which actually has four pairs). Ah, well! Pete. I dont think this is a mistaken id, the MoT refers to the MoT test of the Royal Enfield motorcycle (now registered SV 4837). It begs the question as to how the motor bike got the CLX 549 reg from the Leyland in the first place & why was it then re registered as SV 4837, SV is an age related series issued by DVLA for vehicles in the 1920/30 age group. That registration could have been obtained directly from DVLA on production of a dating cert for the RE motor bike. 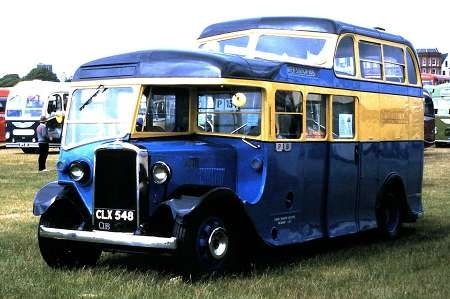 So what is the id of the ‘Leyland National’ now registered as CLX 459? Looks like there has been some fiddling going on here with registration numbers! "According to Alan Cross, Mr Rubery did buy CLX 550 from Scotland. Both CLX 549 and CLX 550 were sold to W North (dealer); CLX 549 became a henhouse in Perthshire"
DVLA has a number of the Bristol Cars products registered as BMCs.